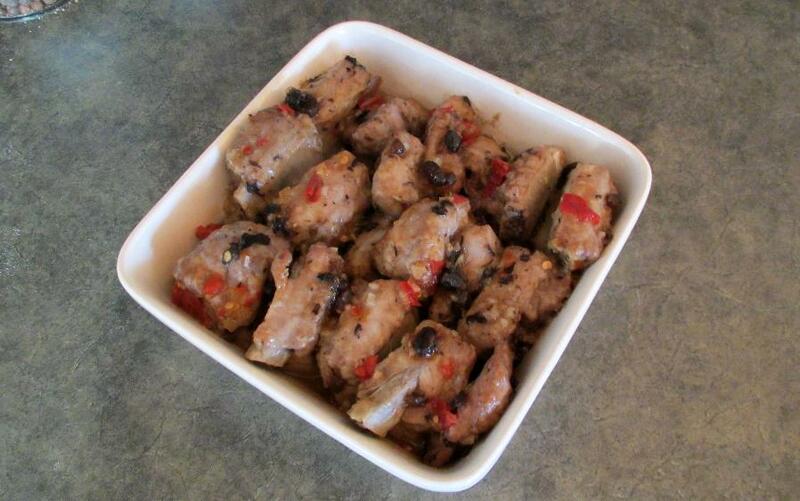 I wanted to do a dish to showcase salted black beans, which featured on a recent ‘Foodstuffs’ post, so I decided to whip up a batch of steamed pork ribs. 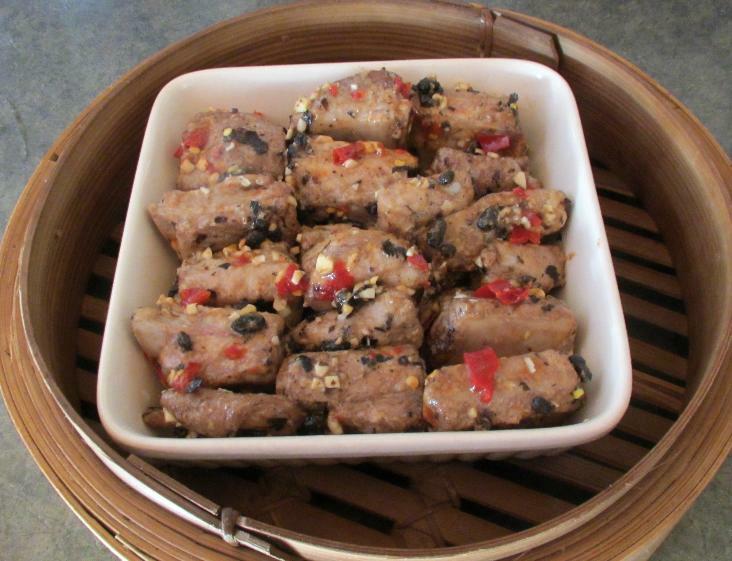 I love steamed pork ribs done many different ways and I frequently order them in dim sum restaurants. They are particularly good with black beans and garlic and, while they can also be good with slivered ginger, in this case I used red chili. This is also quite a popular addition as it not only adds a spicy kick but a nice touch of color as well. I picked up some nice spare-ribs at the grocery store. They are cut nicely and no more than about 3cm in width, which is perfect for this dish. There was a bit of excess fat on the underside of a couple of strips but I trimmed this off so as to not make the finished dish too greasy. In most recipes, the ribs are steamed from the raw state but I think you may find, as do I, that the dish is much improved if you brown the ribs very slightly before hand. To do this, cut the ribs cross-wise into sections and then deep-fry them in hot oil for four or five minutes or so. You don’t want to cook them through at all, just make sure that there is no visible pink in the meat and that there are a few patches of a light golden brown here and there. 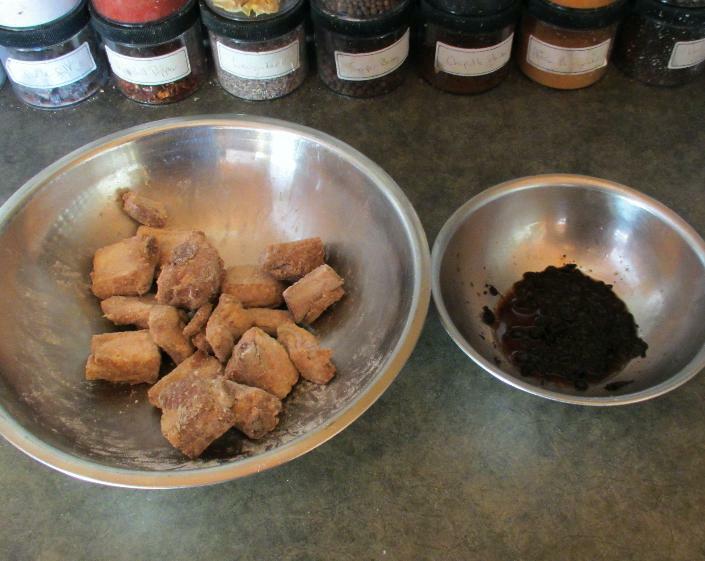 Once this is done, drain the ribs and blot them with a paper towel to remove any remaining oil. After that, toss them with a tablespoon each of sugar and soy sauce and a pinch of salt, then let them cool. At this point you can proceed on with the rest of the recipe right away or let them sit for a while. For this experiment, I actually rested them in the refrigerator overnight. First, put the ribs in a large bowl. Add the flour a tablespoon at a time and mix well, working the flour into the ribs with your hands. Keep doing this until the ribs are completely coated and will take no more flour. If there is more than a scant tablespoon of flour left loose in the bowl then discard the excess. 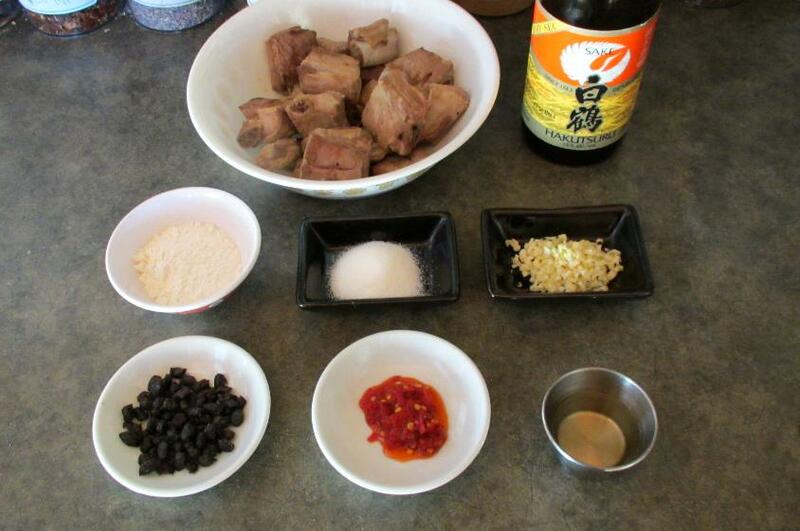 Next, put the beans, sugar and about half the rice wine into a smaller bowl and mash the beans. Do not over mash them. You don’t want a puree, rather there should be plenty of chunks and even a few whole beans left. Pour this in with the ribs and mix well., then do the same with the garlic and the chili. For dim sum, you will probably want to put three or four ribs each in several little dishes but I was just doing a light meal for my wife and I so I arranged them all in a single dish and sprinkled over the remaining rice wine. Once this is done, put the dish, or dishes in whatever you are using for a steamer (I used a bamboo steamer over a pot of water) and keep the water at a lightly bubbling low boil. 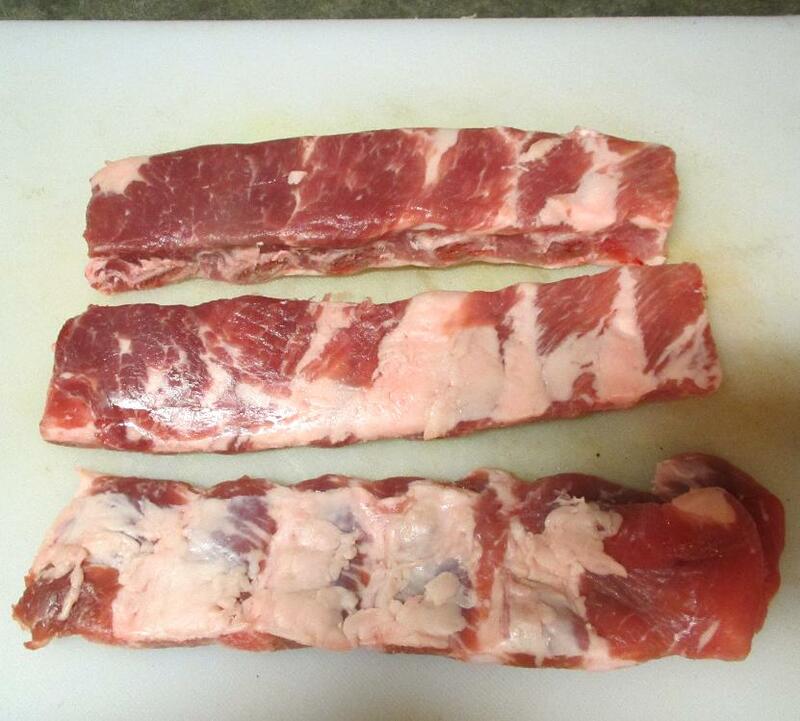 Steam the ribs for 30 – 45 minutes. These turned out very nicely. They were a little richer than they usually are in dim sum restaurants but the rice wine really cuts the heaviness of the pork fat in a nice way.